Warren Gatland's experimental Wales team overcame Italy in Rome 26-15, but it took time to eventually shake off their hosts. Gatland made 10 changes from the side that won in Paris last weekend, as they ran into a resolute Italian challenge. Despite Wales going into a 12-0 lead, the Azzurri fought back to 12-10, and after 50 minutes there was a real belief they could claim their first victory in the tournament since 2015. However, Josh Adams' 54th-minute try put daylight between the teams and Owen Watkin scored to put a gloss on the scoreline. Conor O'Shea will be proud of his side's efforts, as they rallied late on for the second game in a row. Edoardo Padovani crossed in the final five minutes to reduce the margin to just 11 points. Wales employed a policy of taking the points in the first half, as Gatland's charges worked their way into a 12-0 lead through the boot of Dan Biggar. It was clear that they were aiming to put themselves out of sight at half-time without taking any major risks, as they scored the fourth penalty after opting for the posts, despite being firmly camped in the Italian 22. However, the home side were in no mood for lying down, and somewhat against the run of play, scored the first try through Braam Steyn. The Azzurri were more adventurous than their visitors, electing to go for the corner as they trailed by 12. It was a risk that paid off, as the Benetton openside was on hand to muscle his way over the line, and Tommaso Allan was on hand to add the extra two points to reduce the gap to five. It could have been even better before the break for Conor O'Shea's charges, but the out-half hit the left upright with a penalty effort. Allan atoned for his miss, as he nailed a penalty early in the second half to bring the gap back to just two points. However, as Italy attempted to apply even more pressure, they were dealt a killer blow. Aled Davies picked and went straight from a scrum, bursting up the blindside. With the Italian defence backtracking, the Welsh struck out the left, with Jonathan Davies playing a crucial role in the team move which culminated in Josh Adams crossing for a try. Ten minutes later, Jonathan Davies was judged by the TMO to have knocked the ball, denying the centre an opportunistic try. Nonetheless, it was a sign of things to come, as the defensive exertion began to take its toll on Italy. Watkin was the next to score a try, chasing down a kick through. However, just like last week in Murrayfield, the Italians weren't going to give up without a fight. Edoardo Padovani crossed for a late try after being played in by Allan, who missed the resulting conversion. 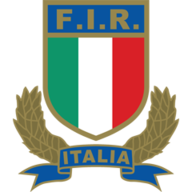 Italy: 15 Hayward (6), 14 Padovani (7), 13 Campagnaro (6), 12 Morisi (6), 11 Esposito (6), 10 Allan (8), 9 Palazzani (6); 1 Quaglio (7), 2 Ghiraldini (6), 3 Ferrari (7), 4 Sisi (6), 5 Budd (6), 6 Negri (), 7 Steyn (8), 8 Parisse (6). Subs: 16 Bigi (6), 17 Traore (6), 18 Pasquali (6), 19 Ruzza (6), 20 Barbini (6), 21 Gori (6), 22 McKinley (6), 23 Benvenuti (6). 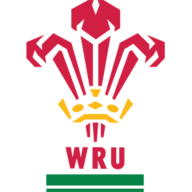 Wales: 15 Williams (7), 14 Holmes (6), 13 Davies (7), 12 Watkin (7), 11 Adams (7), 10 Biggar (7), 9 Davies (7); 1 Smith (6), 2 Dee (6), 3 Lee (7), 4 Ball (6), 5 Beard (6), 6 Wainwright (6), 7 Young (8), 8 Navidi (8). Subs: 16 Elias (6), 17 Jones (6), 18 Lewis (6), 19 Jones (7), 20 Moriarty (6), 21 Davies (6), 22 Anscombe (6) 23 Amos (6). Man of the match: Josh Navidi. Adams' try in the 54th minute took the wind out of Italy's sails. With the hosts chipping away at the 12-point lead, reducing it to just two points, there was a growing belief around the Stadio Olimpico that an upset was on the cards. However, Adams' score put daylight between the teams, and in truth signalled the end of the Italian challenge. Backrowers. Josh Navidi continued his fine start to the Six Nations, putting in a Man of the Match display as Wales made it two wins from two. Thomas Young was also impressive in the Welsh back row. Meanwhile, Braam Styen was the key man for Italy throughout the tie. Italian defence. The Azzurri huffed and puffed throughout the Test match, and weren't far off their visitors. However, basic defensive errors cost them dearly once again. If they are to get a result in this championship, they will need to cut out missed tackles.